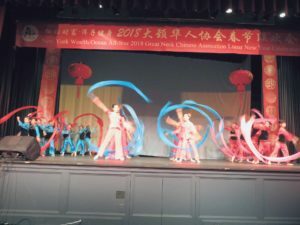 When Mom broke the news that I was going to the Lunar New Year gala hosted by the Great Neck Chinese Association on Jan. 28, I groaned. For me, the truth was: It was a perfect Sunday afternoon, and I would rather do something else. I grumbled the whole way to North High School, where the celebration was held. I shoved my hands into my pockets and dragged my feet into the auditorium. The minute I stepped into the auditorium, I let out an appreciative gasp. The lights on the stage were on and I blinked hard to adjust my eyes to the spotlight. We were just in time. After speeches were made, the performance began. 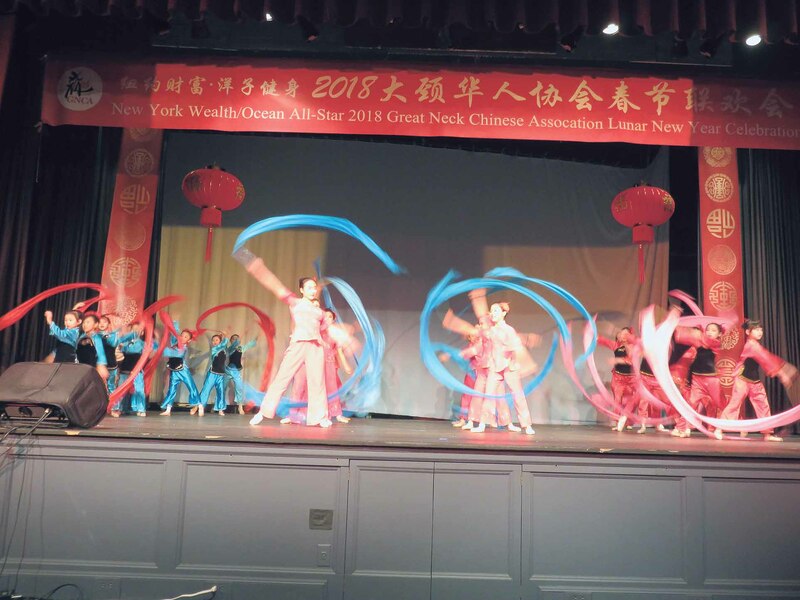 Participants performed a comedy skit, martial arts, drum performances, songs and dances. I saw so many familiar faces. Everyone was content just being there together, applauding and laughing until their ribs hurt. There were times that I couldn’t quite follow what was happening on the stage: A cluster of people paraded about, wearing colorful frocks. One character said something in Chinese to another person, who chirped something back. The crowd howled with hearty laughter. I was puzzled. Looking around, I spied a few kids who looked as mystified as I was. Adults were laughing so hard that I felt obliged to join in. What was so funny? The lights went dark. The tension in the auditorium settled over the hushed crowd. The room was so silent that you could hear the soft tick-tock of the clock hanging on the wall. Suddenly, a spotlight clicked on. With a dramatic swish, the stage curtains parted to reveal several dancers standing in the center, long arms and legs perfectly poised. Their expressions had a regal, austere and somewhat timeless quality. The crowd let out a collective gasp. A soft beautiful melody rose, with the tentative pang of a harp—the sacred Chinese ritual. 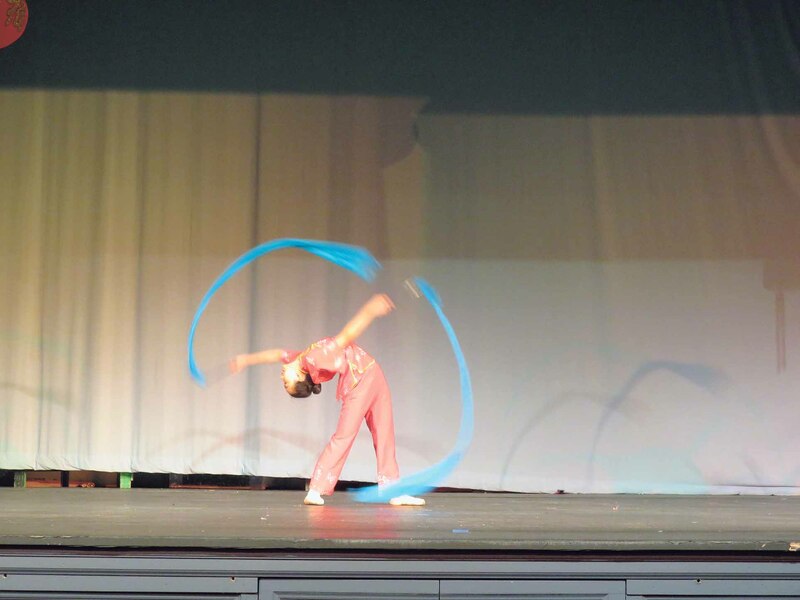 The dancers started to spin, their long silk ribbons billowing and waving through one another, with impeccable grace. Their lush black manes of hair floated weightlessly around the dancers’ rosy faces. Music intensified. The dancers’ feet scarcely touched the ground as they executed their formation. Then, the music got louder and drums beat throughout the room. A sharp intake of breath whisked through the rapt audience. Something big was about to happen. In a swift movement, the dancers parted to let someone through. 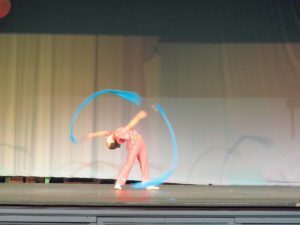 A girl glided forward. Her shoulders tensed as she took a few more steps. Then she took off. In one leap, she sailed through the air and landed, after a flawless flight. Next, there was a profound silence. The crowd roared. I rose to my feet and clapped until my hands hurt. The dancers sauntered off the stage to thunderous applause. “Breathtaking!” someone else remarked in awe. I smiled quietly to myself. Just so. As I made my way out of the auditorium, I knew Mom was right. I did not regret seeing the show, not a second of it. Yet, I felt a bit unsettled when I could not understand. A short time ago, I would have scoffed at having to learn Chinese characters, culture and history. But, now, after realizing that these were not boring, stifling and far away, but artistic, funny and colorful, for the first time, I felt proud of my culture and what it celebrates: peace, love and togetherness. Joy Wei is in fifth grade at Saddle Rock Elementary School.